Eight months ago. That was when I had my last David Dream. Until now. I’m writing it down now because I fell asleep while watching Late Night with Jimmy Kimmel. I dreamed that I was watching Kimmel’s show and, just before ending, he bought on a surprise guest performer. 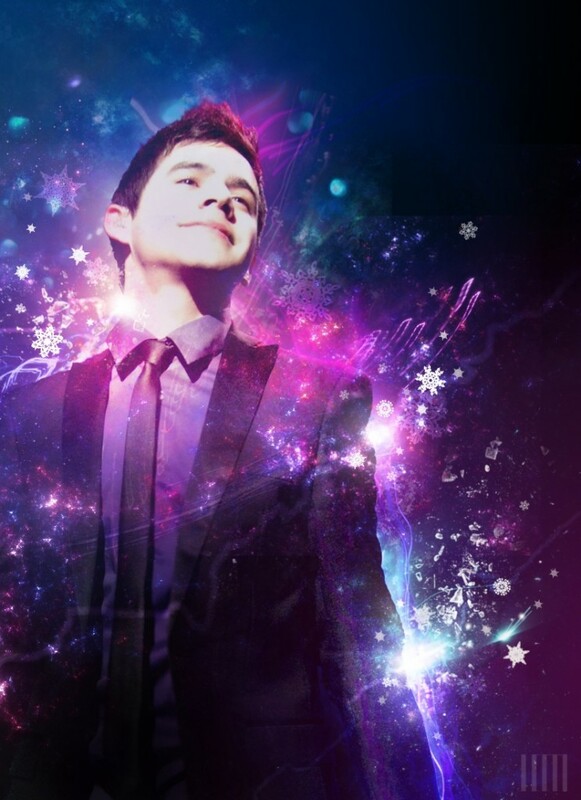 None other than David Archuleta! The audience erupted into screams. David came out on stage, looking taller, his voice sounding deeper. Wishful thinking, huh? Except that conservative-sounding David at the end. Still, wasn’t there a time when Kimmel used to be a David Archuleta fan? To say we’ve grown beyond my own expectations is an understatement. Each anniversary of Soul David, I try to change things up, like adding a new banner or, two years ago I believe, changing the entire theme of the blog. Well this 5th anniversary, I thought I would change the title and the perspective. We’re still all about “Soul David,” but it often feels like the focus of this fan site is more about the fans, sometimes, and what we care about: which is David, of course, and other aspects of the music scene. So, since I’ve become accustomed to calling all the folks who hang here “Soul Davidians,” I thought: Why not just alter the title? And, should David make a name for himself on the music scene (or not) we can still keep this site, not just as a “vigil” but as an informative site all around. I will definitely think more about how the content might change (or not), but after 5 years (FIVE YEARS!! ), some things will change (including David Archuleta himself). Besides, I’ve moved on beyond concerns about the “Disney version” of David, or even the “soul” version of him, though I’m keeping the hope that “Soul David” (and his “soul” fans) will remain and/or return. Not that it isn’t interesting to speculate about other aspects of David’s personal life. I don’t know being spotted with a girl at a comedy club indicates “girlfriend,” “friend who’s a girl,” or a simple “date,” but David is at that age where such things are expected. And, given that David is “deeply religious,” a “rule-follower,” and all that, it wouldn’t surprise me none if he’s the type to date with marriage in mind. And, yes, David IS the type of guy who could get married and we won’t know about it until a whole year has passed (much like Janet Jackson who is known for such stealth moves). And seen with a “cute blonde”? Well, given where he’s at – if he’s still in Utah – and given that he’s most likely to keep it within the faith, what other choice is he going to go for, given his available dating pool? Interesting stuff, but really? I want to know about the Spanish song! I want to know who is the “we” referred to in Twitter? Enrique cryptically tweeted earlier this year about the possibility of collaborating with David. Was that random, or was that a strategic tweet and a sign of things to come? Is David just capitalizing on his Spanish skills, or has he already been planning this? Is he thinking along the lines of Spanglish? Latin music? Latin fusions? That’s our David! Always feeding us with half-facts, thus making room for much, much speculation, which is what this fan base has mastered for so long. Once again the Soul Davidian mantra: Let us wait and see. Is this the general consensus of Soul Davidians? That we’ve been waiting in vain? Just hanging around wishing and hoping … and all for nought? I don’t know what’s in store. And if there are new rumors (i.e. David planning to enroll in BYU next year), I will wait and see. Just like I was wrong about the mission thing, I dare not suggest anything about David’s prospects as far as college is concerned. 1. As someone who is deeply involved in overseeing Fall college admissions next year at my university (yep, that’s why I haven’t been as busy with this blog as I have in the past), I know that David couldn’t just come back to the country late March and then decide he’s going to enroll in the fall. Fall admissions for undergraduates have a deadline: typically late January/early February, UNLESS David is getting special treatment to enroll next year (which would annoy the heck out of me – given the recent Supreme Court Ruling on Affirmative Action, which has failed to ensure an increase in the enrollment of minority students in higher education, and if certain folks encounter barriers to higher education, I’d like to know how other certain folks are able to transcend said barriers – ESPECIALLY since I never did hear anything about our Beloved completing his high school diploma or his G.E.D.). 2. If David is enrolling in college next year (for all we know he had applied then DELAYED matriculation before embarking on his mission), that would mean that he made these plans well ahead of his mission ending. 3. It’s not even a full complete month since David’s return from his mission, so I still believe PATIENCE is what we need to order from the menu. Let us all wait and see.